Beth has been the special education teacher at Woodmere, a K-5 elementary school, for the past three years. 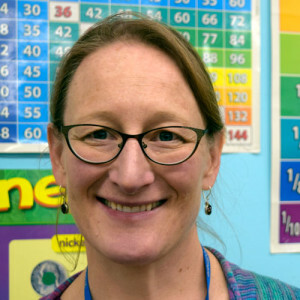 Prior to Woodmere, Beth taught for a combined nine years at Harrison Park and Clark elementary schools. She received her master of science in special education from Portland State University. Beth has been part of The Shadow Project for about 8 years. She appreciates the program’s motivating and empowering aspects. Beth joined the Parent Teacher Advisory Board in the fall of 2015.